As one the most influential art movements of the 20th century, Cubism was an avant-garde that revolutionized the production and the perception of painting and sculpture in European arts. It was the Cubist artists who rejected the inherited concept art depicting nature as it is, challenging the imposed rules on the traditional understandings of three-dimensionality and perspective. Influenced by an exhibition of paintings by Paul Cézanne in Paris in 1904, as well as the aesthetics of primitive art, Georges Braque and Pablo Picasso pioneered Cubism and introduced it as the new visual language and form of expression. Extending through the 1920s, it paved the way for non-representational art, proposing a fresh look at the relationship between a depicted scene and the surface of the canvas, blending background into foreground and changing the way we think of space, movement and time. Cubist artists emphasized the two dimensions of their works, by reducing and fracturing objects into geometric forms, experimenting with vantage points and various angles of a subject. 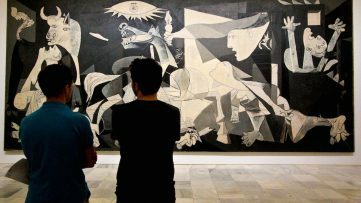 In their artwork, the scenery and its objects are broken down, analyzed and re-assembled in an abstract form, representing the idea in a much greater context. Starting with Picasso’s Portrait of Ambroise Vollard, the movement got a new, more austere style of painting known as Analytical Cubism. The Spanish painter, along with Braque, endorsed the disassembling of the human figure into a series of flat, transparent geometric plates that overlap and intersect at various angles, creating a cube-like imagery. After 1912, Cubist artists took on a less formal way of painting and sculpting, known as Synthetic Cubism. 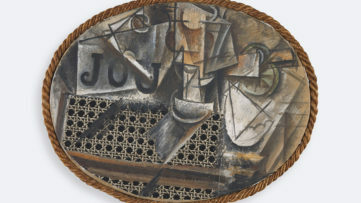 For the following two years, this style was more colorful and it included the use of more materials, again led by Picasso and Braque, and their collages. While Analytical Cubism provided a revolutionary painterly alternative to single point linear perspective, Synthetic Cubism was equally innovative in its use of collage and papier colles. The two styles continued to be adopted by Cubist artists through the 1920s. 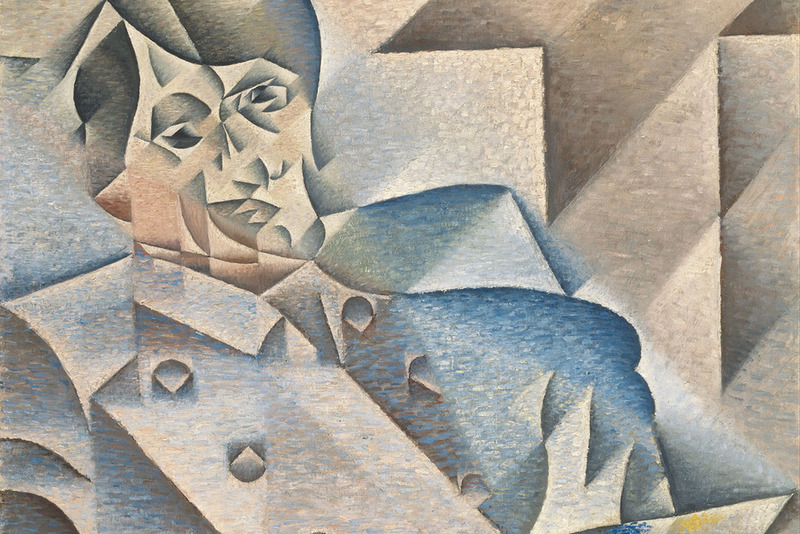 The impact that Cubism had on the movements throughout the following century of modern art is certainly a great one, as ideologies such as Futurism in Italy, Vorticism in England, Suprematism and Constructivism in Russia, De Stijl in the Netherlands, Purism and Orphism in France as well as Precisionism in America, all incorporated its concepts. 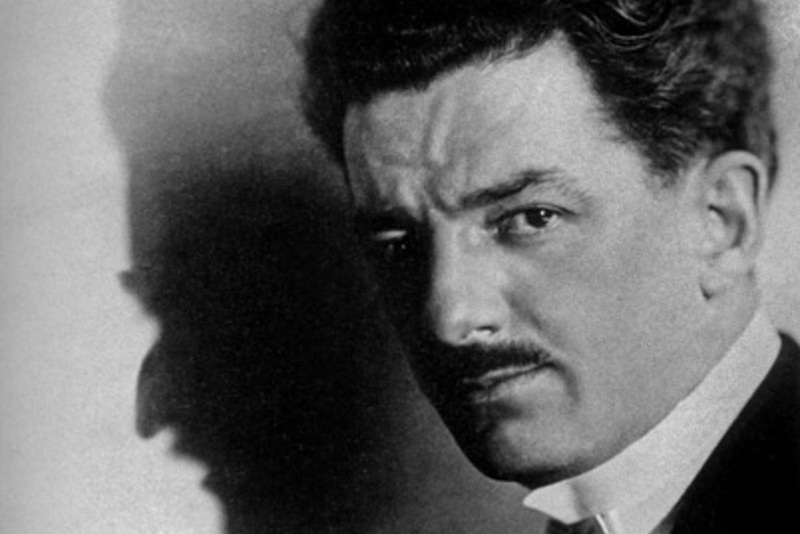 Furthermore, it influenced Dada and Surrealism worldwide, Art Deco design and architecture, the grid aesthetics of Minimalism… Cubist artists certainly turned the Renaissance tradition upside down, changing the course of the history of arts with an impact lasting long into the realms of contemporary art as well. 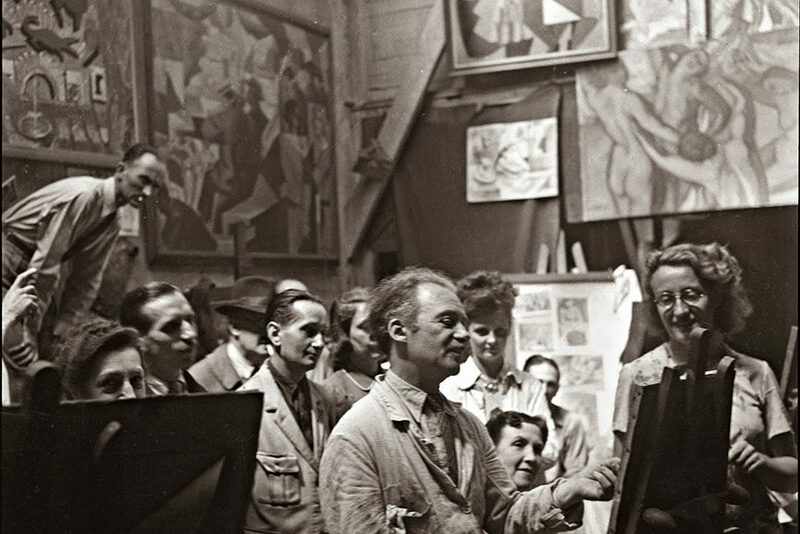 Behold the most renowned Cubist artists that shaped Cubism as an art movement. This groundbreaking new history of Cubism, based on works from the most significant private collection in the world today, is written by many of the field’s premier art historians and scholars. The collection, recently donated to The Metropolitan Museum of Art, includes 80 works by Picasso, Braque, Gris, and Léger and is unsurpassed in the number of masterpieces and iconic pieces deemed critical to the development of Cubism. Twenty-two essays explore various facets of Cubism from its origins and consider small groupings of works in light of specific themes—such as a study by neuropsychiatrist Eric Kandel on Cubism and the science of perception. Also included is a fascinating interview in which Lauder discusses his approach to collecting. It is a comprehensive, copiously illustrated book that offers a greater understanding of Cubism and will stand as a resource on this pioneering style for many years to come. Although he was initially involved in Fauvism, André Lhote joined the famous Section d’Or group in 1912, a collective of painters, sculptors, poets and critics associated with Cubism and Orphism. His paintings mostly depicted figure subjects, landscapes, portraits and still life, and he was also a noted teacher and writer; he was the co-founder of Nouvelle Revue Française, an art journal to which he contributed until 1940. 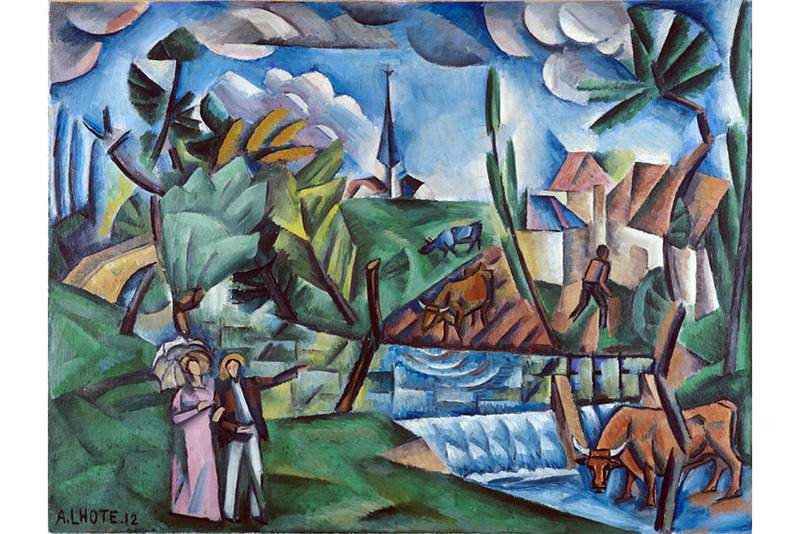 Featured images: André Lhote teaching © B. Matussière; André Lhote – Paysage français (French Landscape), 1912. Musée des Beaux-Arts de Bordeaux. 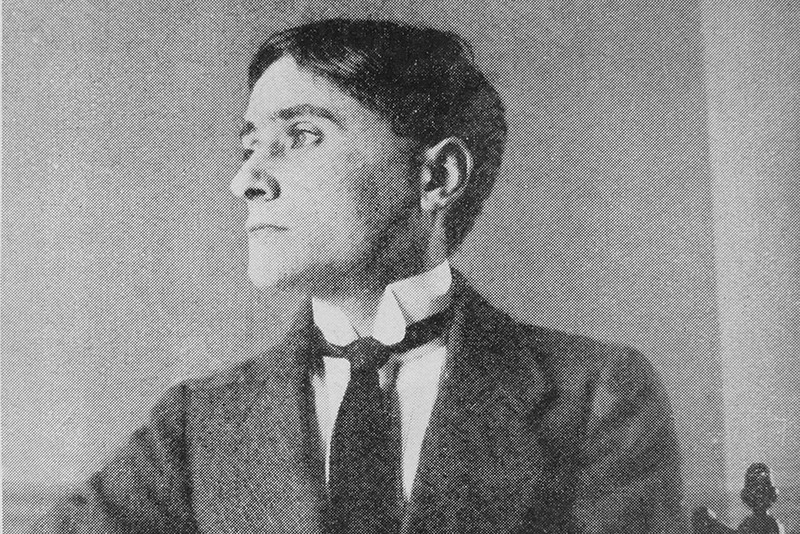 Perhaps a little more than one of the Cubist artists, Jean Metzinger was famous as the principal theorist of the movement; the idea of moving around an object in order to see it from different view-points is treated, for the first time, in Metzinger’s Note sur la Peinture, published in 1910. He was also the co-founder of the second phase of the movement, referred to as Crystal Cubism, and a promoter of mathematics, particularly when it comes to geometric shapes in paintings. 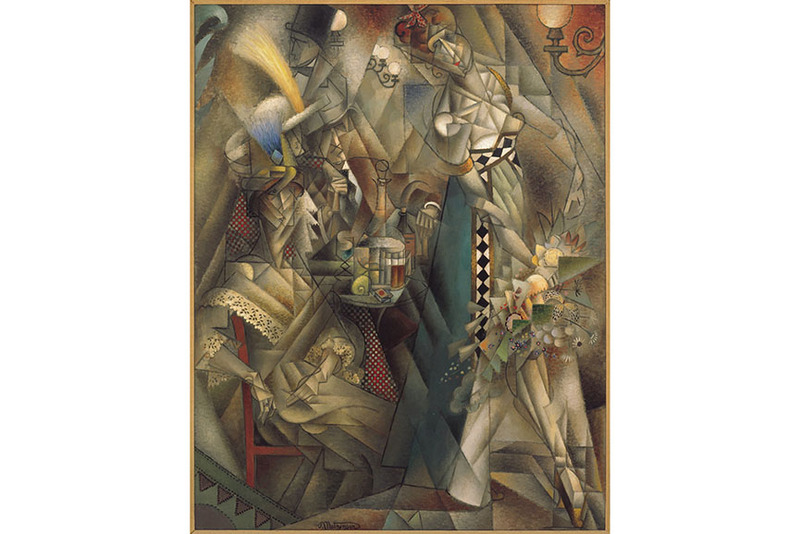 Featured images: Jean Metzinger, via Wikipedia; Jean Metzinger – Danseuse au café (Dancer in a café), 1912. Albright-Knox Art Gallery, Buffalo, New York. 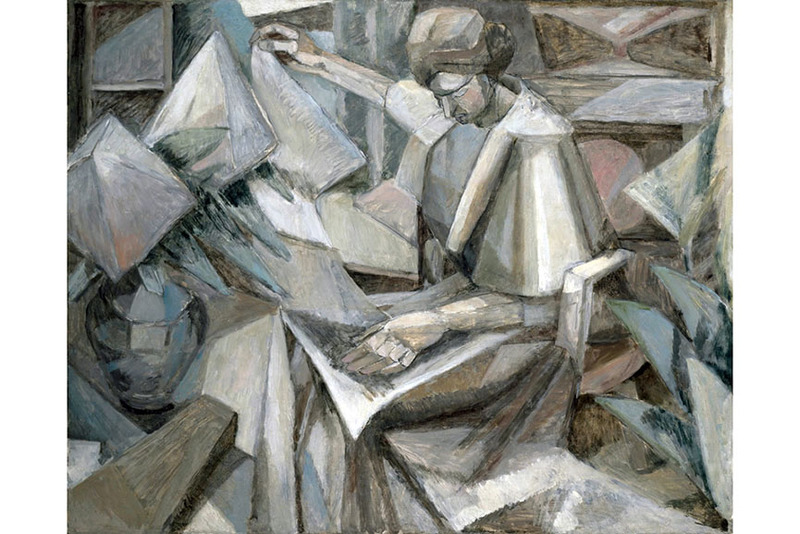 Together with the aforementioned Metzinger, Albert Gleizes wrote the first major thesis on Cubism, Du Cubisme, in 1912. His paintings, and most of all writings, were particularly appreciated in Germany, where his documents influenced the Bauhaus aesthetics. The artworks he produced mostly focused on opposing the mainstream canons of the bourgeoise, which earned him the place at the very first exhibition of Cubist artists in 1911. Featured images: Albert Gleizes, c.1920, photographer Pierre Choumoff; Albert Gleizes – La Femme aux Phlox (Woman with Phlox), 1913. Museum of Fine Arts, Houston. 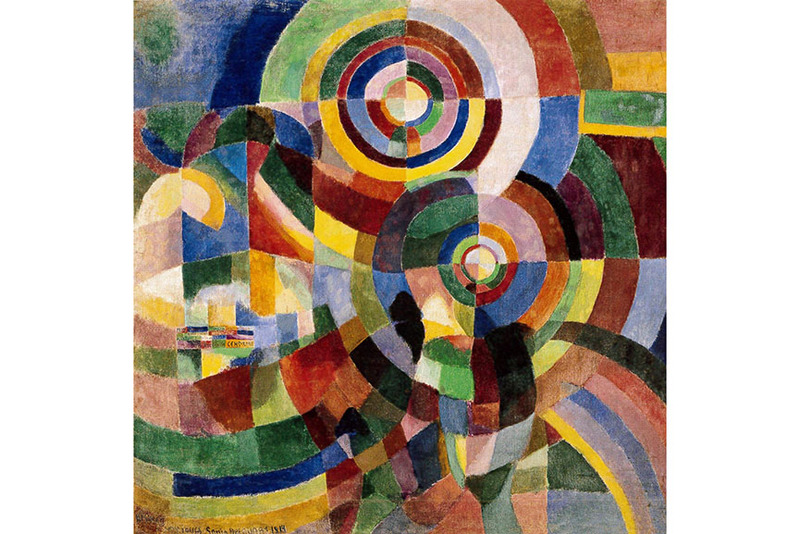 Influenced by Neo-Impressionism, Pointillism and Divisionism, Robert Delaunay gave life to works which resembled mosaics and developed a great passion for vibrant colors. With time, his style evolved and became more complex, constructing fragments and geometric facets which could be considered Cubist. His own theories of color, however, led him towards complete abandon of reality, hence towards absolute abstraction. 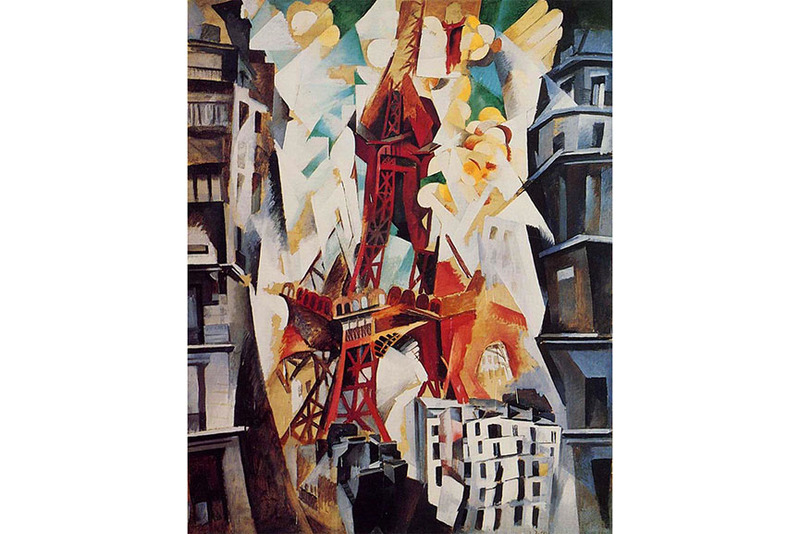 Featured images: Robert Delaunay, image via Wikipedia; Robert Delaunay – Eiffel Tower, 1909-1914. Image via Wikiart. 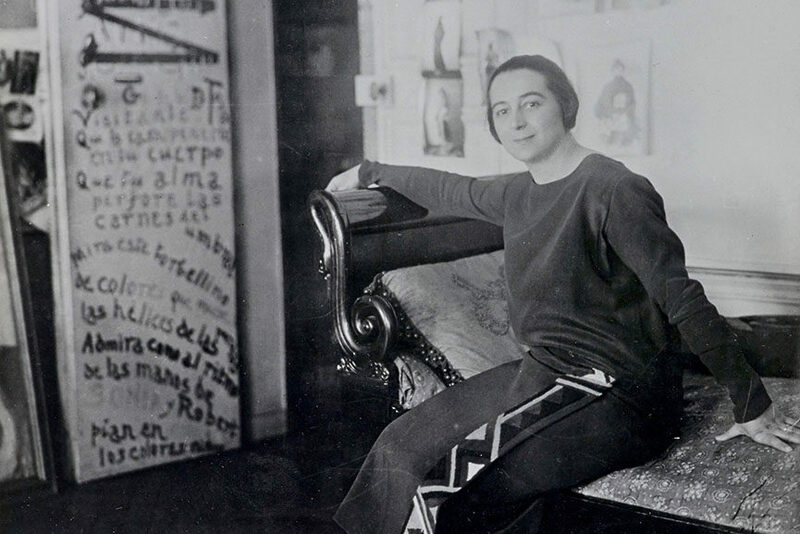 With husband Robert, Sonia Delaunay co-founded Orphism as a movement, contributing to it with painting, textile design and stage set design, as well as the design of furniture, fabrics, wall coverings and clothing. In 1964, she was the first living female artist to have a retrospective exhibition at the Louvre, and her painting Coccinelle was featured on a stamp jointly released by the French Post Office. Featured image: Sonia Delaunay, Paris 1924 © Bibliothèque nationale de France, Paris; Sonia Delaunay – Prismes electriques, 1914. Centre Pompidou. 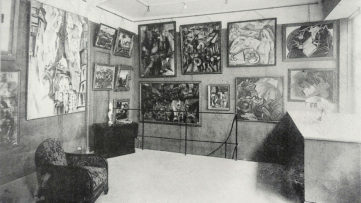 One of the leading Montparnasse Cubist artists, Henri Le Fauconnier was one of the exhibitors at the first Cubism exhibition at Salon des Indépendants in Paris in 1911. The show caused a major scandal, as the public was outraged by the representation of subject matter as cones, cubes and spheres. His work was successful in the Netherlands, where he created paintings combining Cubism and Expressionism, making it more realistic. 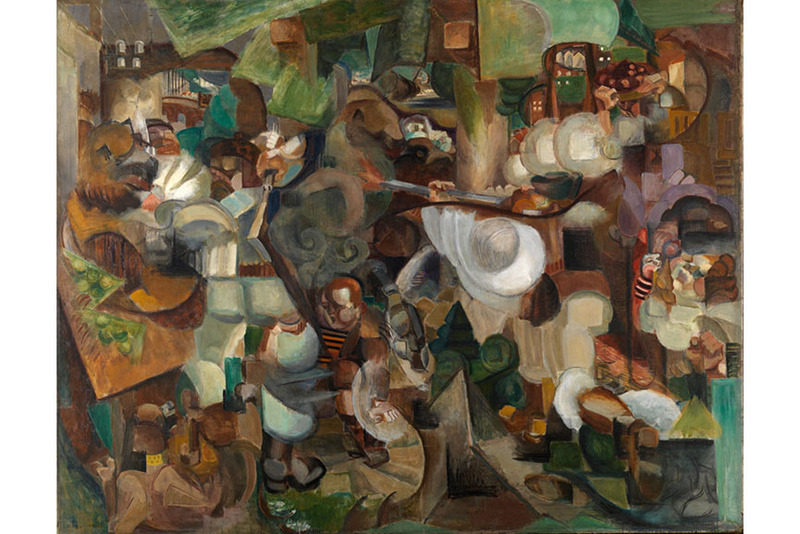 Featured images: Henri Le Fauconnier, image via Wikipedia; Henri Le Fauconnier – Les Montagnards attaqués par des ours (Mountaineers Attacked by Bears), 1912. Rhode Island School of Design. 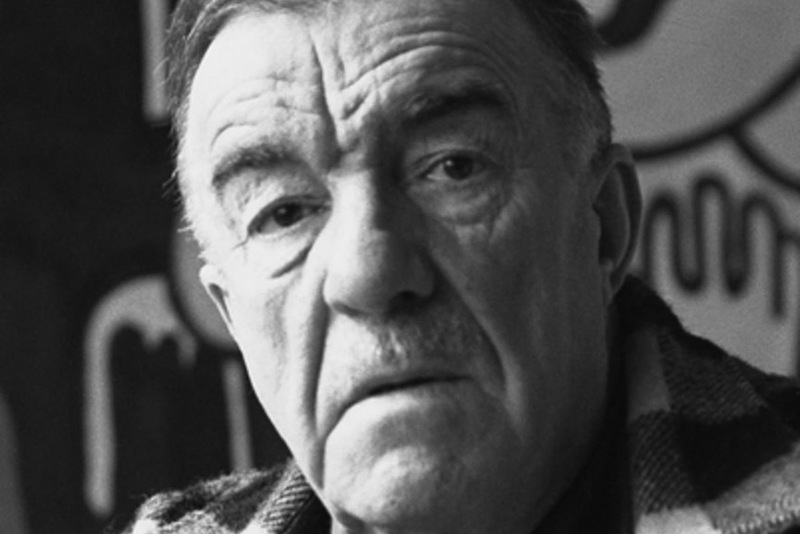 The art of Fernand Léger began as a personal form of Cubism, which followed the “rules” of the movement closely, only to evolve into a more figurative, populist work that came to announce the emergence of Pop art some decades later. His paintings were often described as “mechanical” due to appearance and color palette which revolved around greys and blues, although his 1920 pieces introduced a much more vivid yellows and reds. 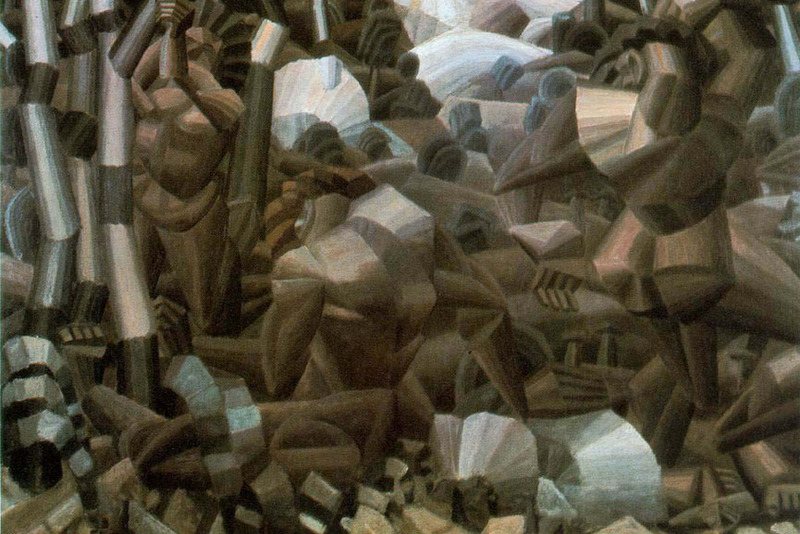 Featured images: Fernand Léger, image via biography.com; Fernand Léger – Nudes in the forest (Nus dans la forêt), 1910. Kröller-Müller Museum, Otterlo, Netherlands. 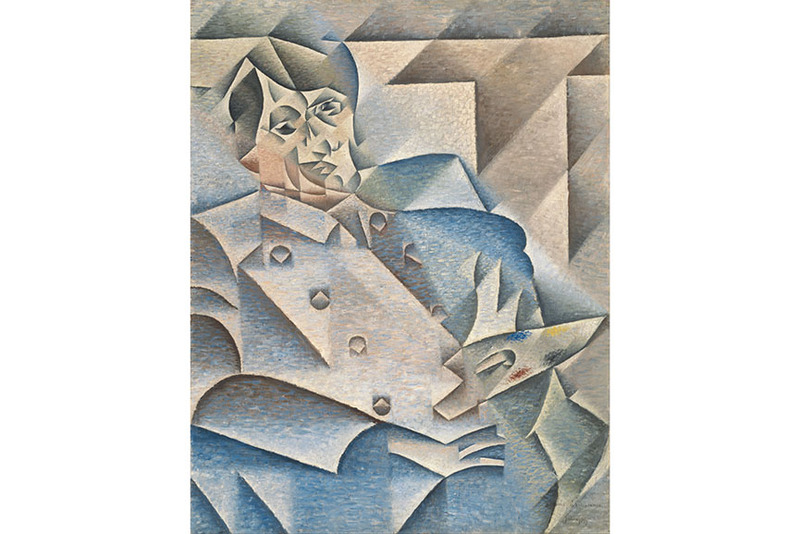 According to Gertrude Stein, although Juan Gris regarded Picasso as a teacher, Gris was the only person whom Picasso wished away. He was described as having two styles, in one having a grid which resembles the works of Metzinger, and in other where the continuity of lines is broken and where shadows introduce a more spatial concept. 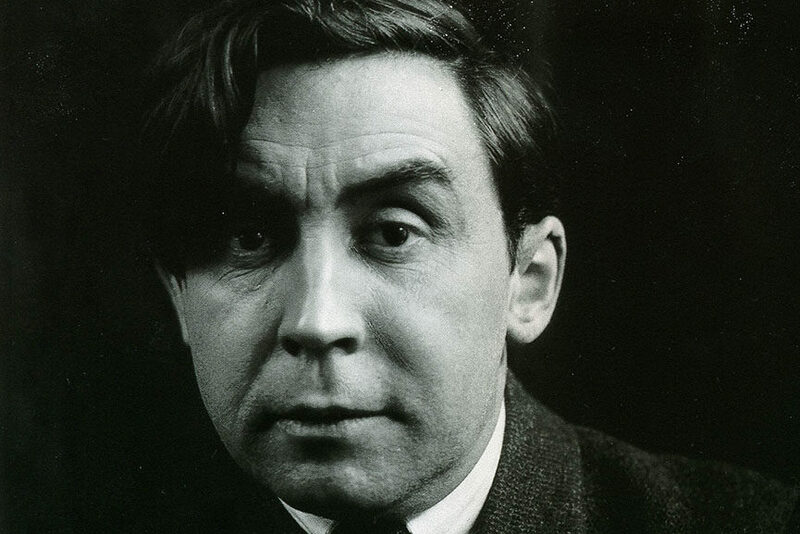 Besides Braque and Picasso, he was the most influential member of the movement. 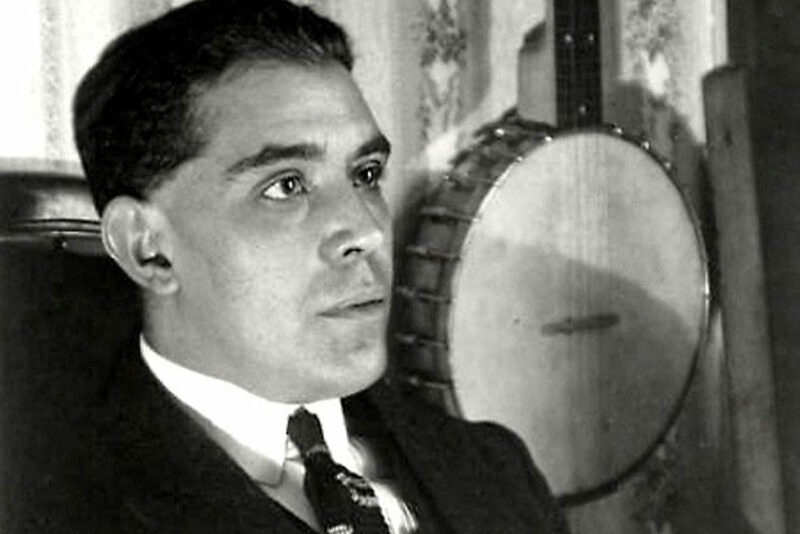 Featured images: Juan Gris, via biography.com; Juan Gris – Portrait of Picasso, 1912. Art Institute of Chicago. 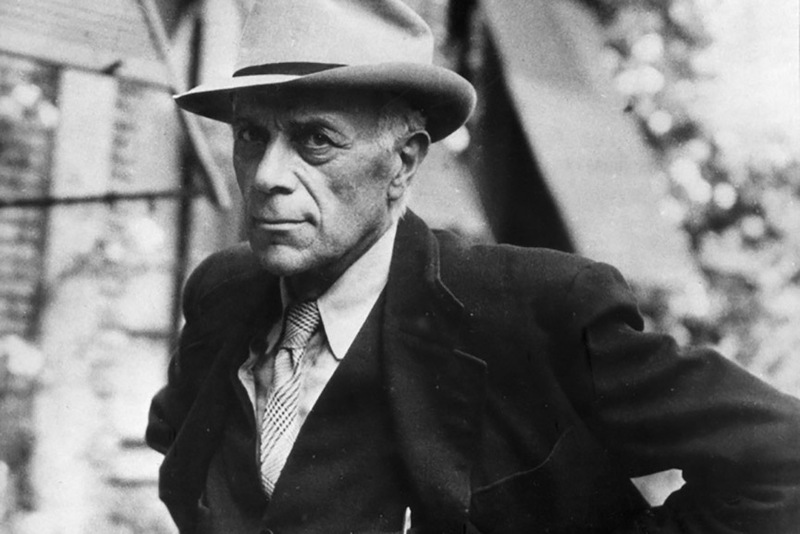 A painter, collagist, draughtsman, printmaker and sculptor, Georges Braque was perhaps more important for Fauvism, but his contributions to Cubism are certainly significant. 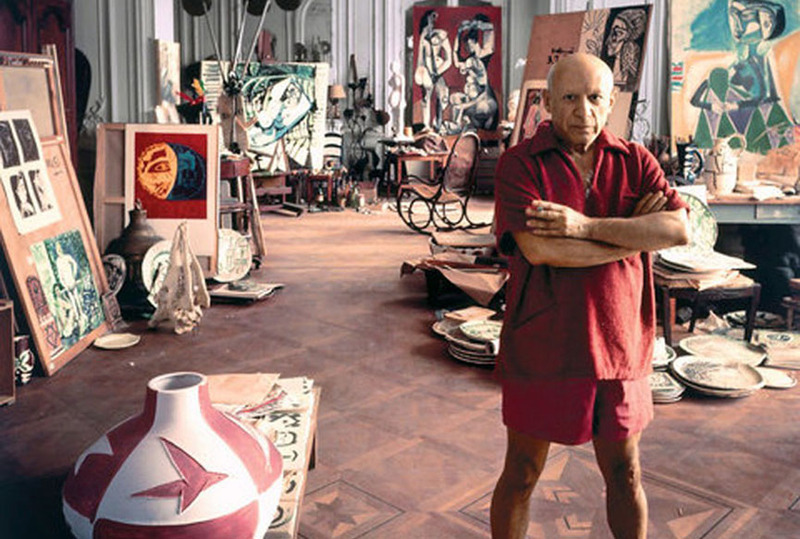 His work was often even attributed to Picasso and vice versa, but his talents were also in the shadow of Picasso’s fame. His Cubist work was filled with “little cubes”, sometimes turning the painting into quite an abstract one, far away from a realistic representations. 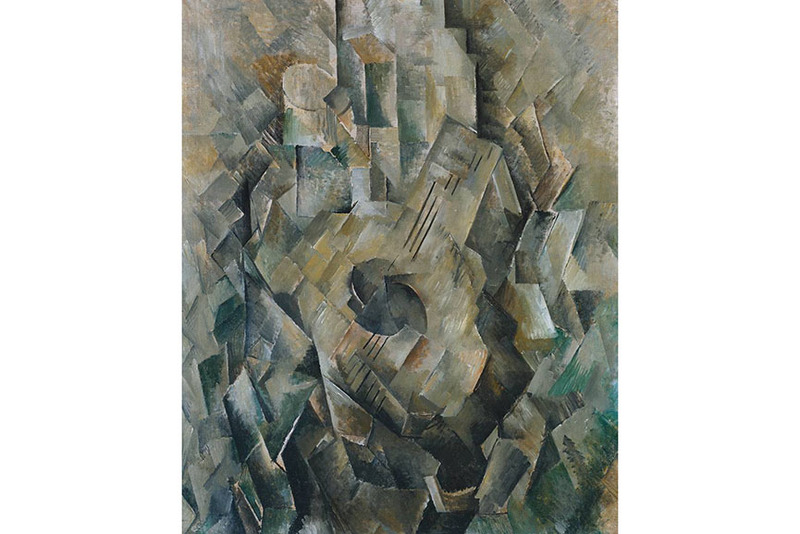 Featured images: Georges Braque, via Wikipedia; Georges Braque – La guitare (Mandora, La Mandore), 1909-10. Tate Modern, London. 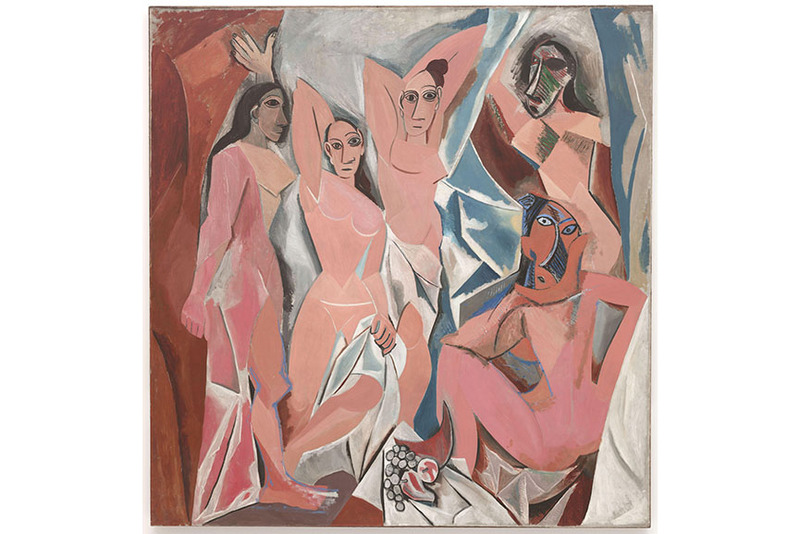 In 1907, Pablo Picasso shook the world with his Les Demoiselles d’Avignon, still the most famous Cubist artwork to date. Between Fauvism and Cubism as it came to be, it tackled and challenged many conventionalities, setting the name of the Spanish painter in stone as the greatest master of the movement. 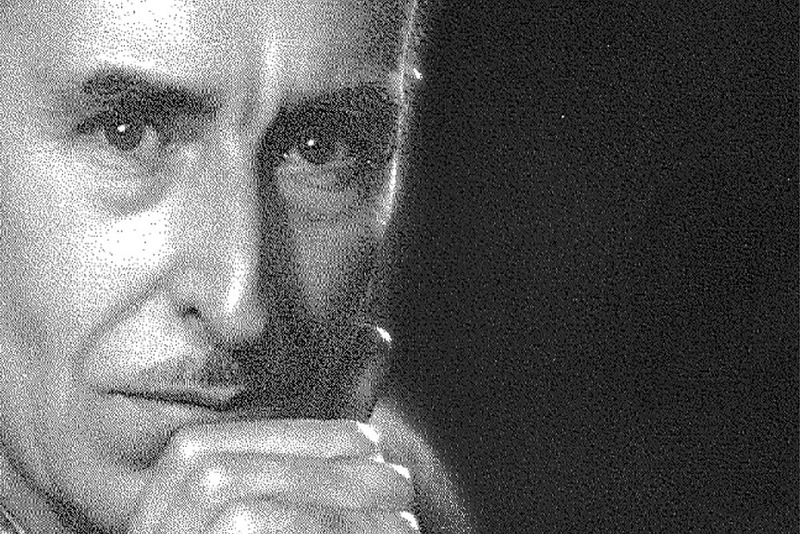 His experiments with collage during his Cubist peak were also highly influential, introducing a bright future for the medium in years to come. Featured images: Pablo Picasso, via Wikipedia; Pablo Picasso – Les Demoiselles d’Avignon, 1907. Museum of Modern Art, New York. All images used for illustrative purposes only.